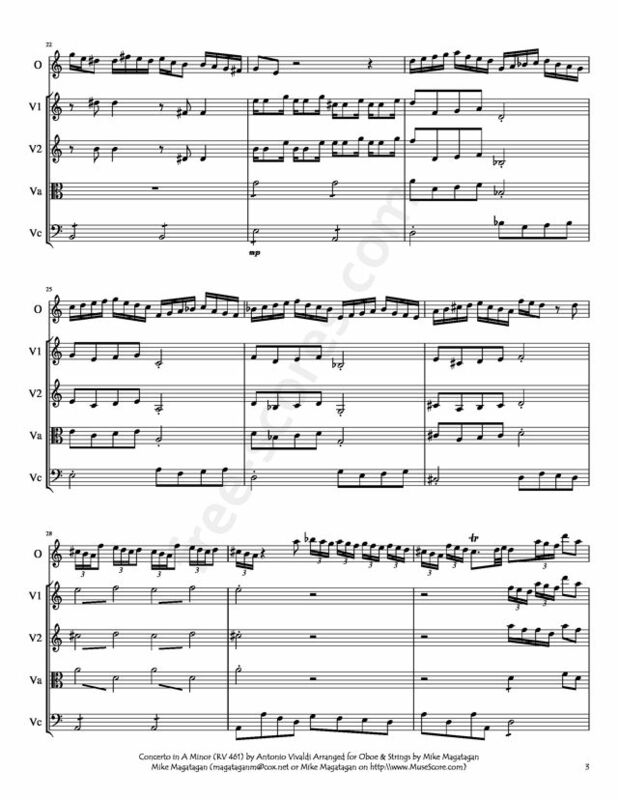 Possibly the last of Antonio Vivaldi's 13 oboe concertos, the Concerto in A minor (RV 461) is a three-movement work scored for oboe soloist, strings, and basso continuo. The opening Allegro non molto in the tonic minor features a shorter than usual ritornello from the ripieno and longer than usual and more difficult than usual passages for the soloist. The central Larghetto in the major features especially lyrical lines for the soloist over stately chords for the ripieno. The closing Allegro in the tonic minor returns to the driven tempo of the opening movement and brings the work to an exciting conclusion. 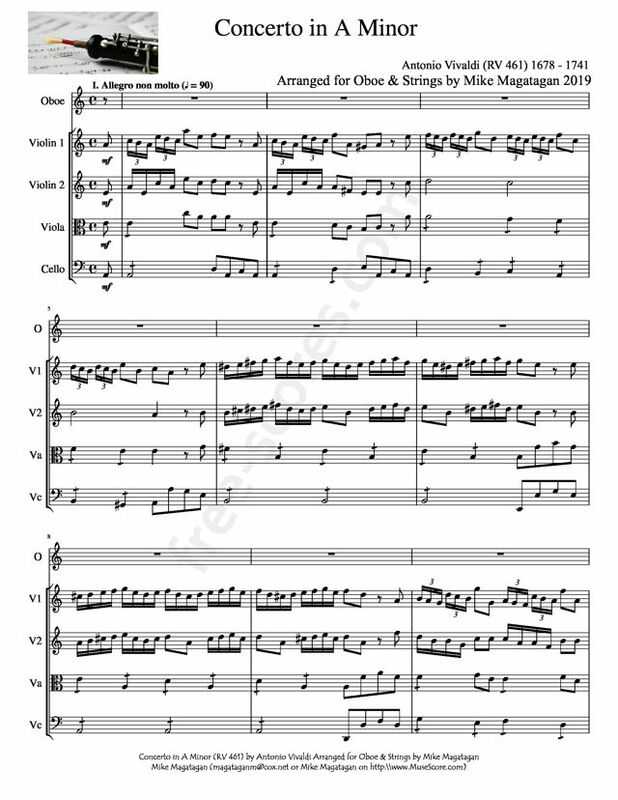 Although originally created for Oboe, Strings & Basso Continuo, I created this Arrangement of the Concerto in A Minor (RV 461) for Oboe & Strings (2 Violins, Viola & Cello). 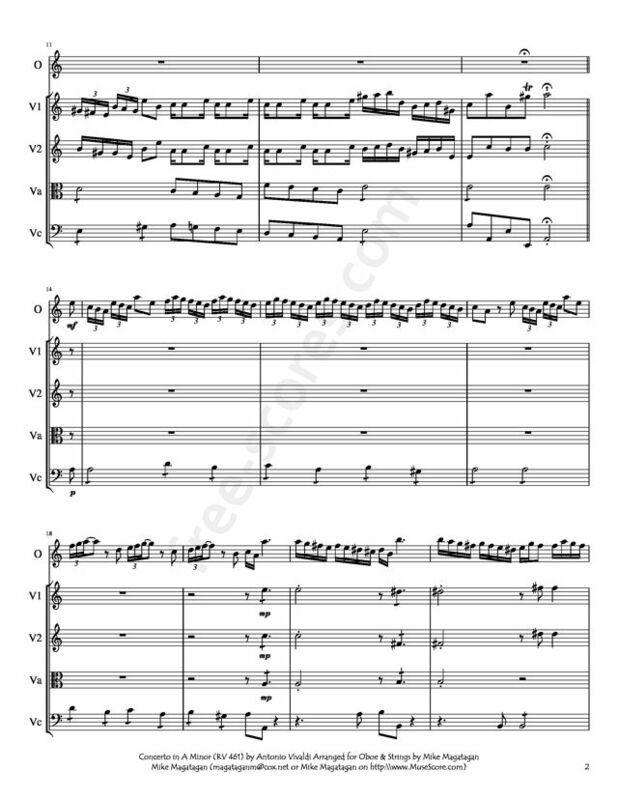 4 scores found for "Concerto in A Minor for Oboe & Strings"